On Wednesday, I listened in on a conference call for supporters of Doctors Without Borders to get an update on the situation in Haiti. Much of that information was fascinating, firsthand accounts from people who were in the country when the earthquake hit, and learning that there are currently 260 aid organizations and charities in Haiti. I have, like so many of us, been feeling like I should find some way to get there to help, but what is clear is that at this time, what they DON’T need, is more people. While entirely well-meaning and selfless, a majority of general (non-medically trained) volunteers are more in the way than helpful in the current situation. One of the doctors running programs there likened the nation to a patient in intensive care, remarking that when you are in the ICU, you cannot have visitors. We have to wait until the status gets downgraded from critical to stable before any of us can be of use. That, of course, is where the problem lies—many of the current organizations that rushed in to help will move away from the crisis at just the time when their work can actually be more effective than it is now. Funds will run out, other crises will arise (have you noticed that the terrible floods and mudslides in Peru near Machu Picchu have gone all but ignored in the press? ), and volunteer exhaustion will come into play. Burnout is a very real problem in crisis management. Doctors Without Borders is in for the long haul (as are many, many others who understand the commitment)—they have been in Haiti for 19 years already and had a team of 700 in the country BEFORE the earthquake, and have added about 500 more team members since the catastrophe. Some of the high-profile celebrities that are not only donating today, but have committed to annual donations of $50,000 each for the next five years, include Jackson Browne, Gerard Butler, Daniel Craig, Russell Crowe, Penelope Cruz, Clint Eastwood, Nicole Kidman, Keith Urban, Sean Penn, and more. When built, the street schools will assist thousands of children living in the slums of Port-au-Prince. 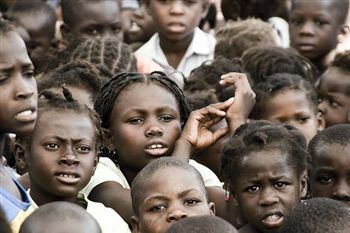 Prior to the earthquake, APJ had been committed to sponsoring a number of these schools in Haiti and supporting the work of Father Rick Frechette, a doctor and community organizer who works out of St. Damiens Pediatric Hospital in Port-au-Prince, the only free pediatric hospital in the country. Donors to APJ have an opportunity to contribute to long term sustainability in a country that so desperately needs it.